Natalie, Lauren and Ashley's Blog: We said we wouldn't... but we couldn't resist! We told ourselves we would be disciplined parents. 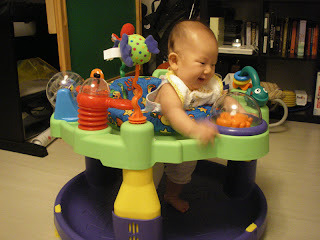 We would not buy "unnecessary" toys for our baby and "spoil" her. 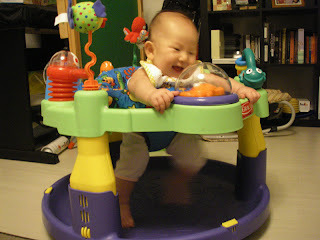 But when you see how happy Natalie is in her new exersaucer, you'll see why we couldn't resist! Also check out Video 47.